Looking for a streak-free, crystal-clear shine? 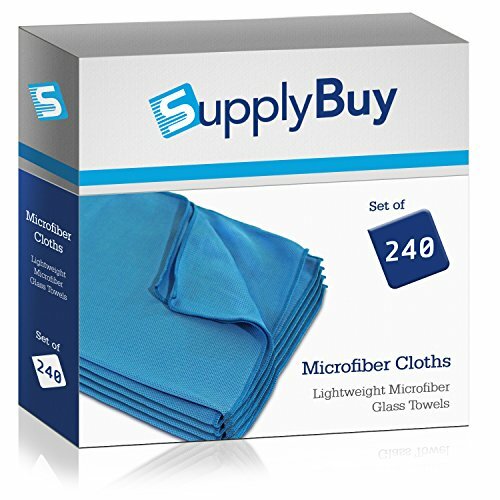 Our Lightweight Microfiber Glass Towel will get your windows, mirrors, appliances, and more sparkling clean. No lint, spots, scratches, smudges, or streaks left behind! Great for use at home, at the office, or in your car. Skip the harsh cleaning chemicals and get the job done more efficiently with just warm water. Cleans without leaving lint, spots, scratches, smudges, or streaks behind. Lasts through hundreds of washes. Reuse again and again! Superior absorption makes cleaning more productive and efficient.